Sales Lead Search Made Easy! 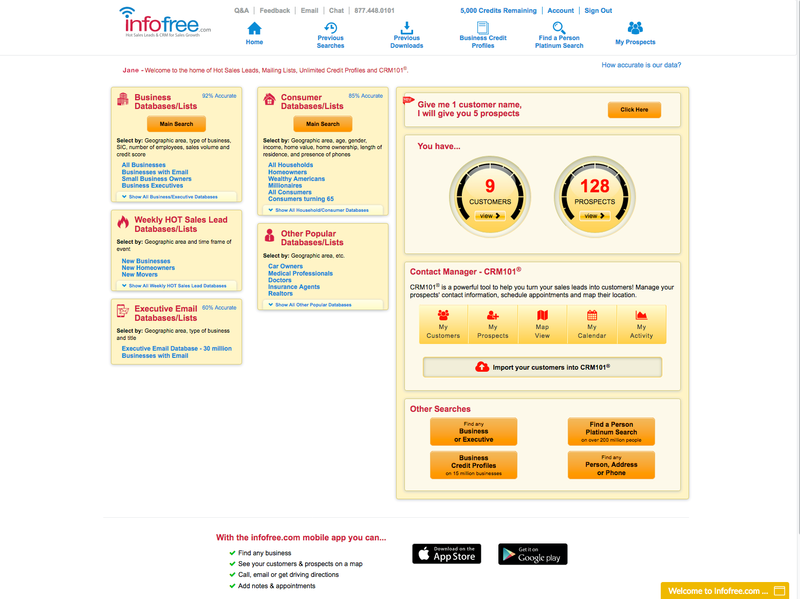 Explore what you will get with an Infofree.com subscription! After logging into your account, you will begin your sales leads search from the Home Screen. 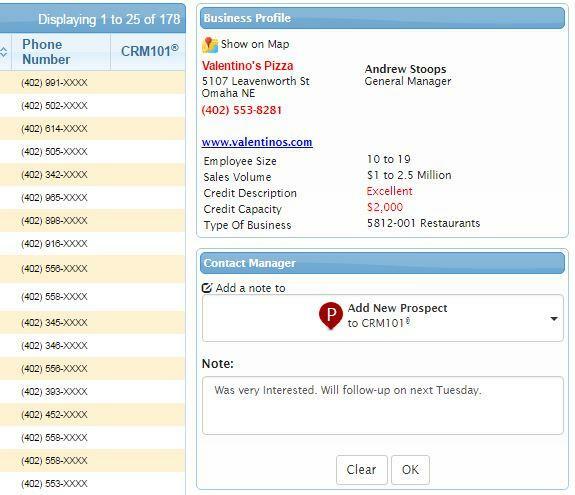 You can select how you would like to search, view your download history, access recently saved searches, connect to Infofree.com’s contact manager – CRM101, and view business profiles and credit reports! Search and define your target audience by geography, business type, SIC codes, narrow by employee size or sales volume, and choose any additional selects. Search for sales leads by geography, age, gender, income, home value, length of residence, hobbies, and interests. Looking for a specific person or business? 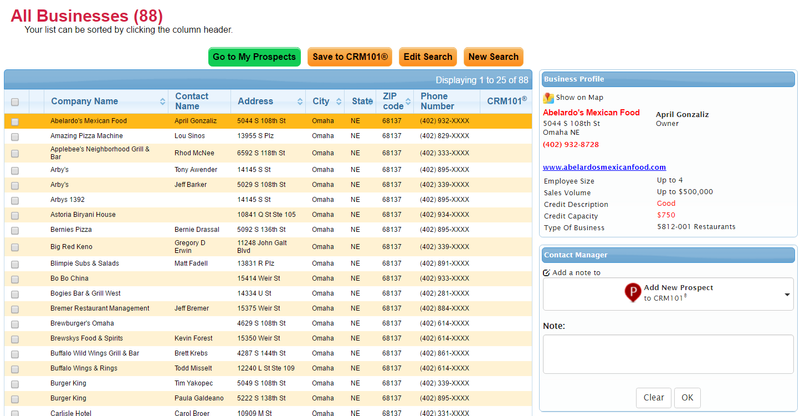 Our Business Profiles and Person Search allows you to search by name, phone number, address, and company name. You can go back at anytime to see our previous searches. You may choose to edit criteria within a saved search, or start a new search from the main navigation. This screen also lets you rename your search, and delete any searches you do not need anymore. After you have completed your search, start viewing your sales leads immediately. Pick the best sales leads, or select the whole file to download or print. We have lots of information on every record, use it in your next direct mailing campaign, email campaign, or sales calls. See your prospects on a map! 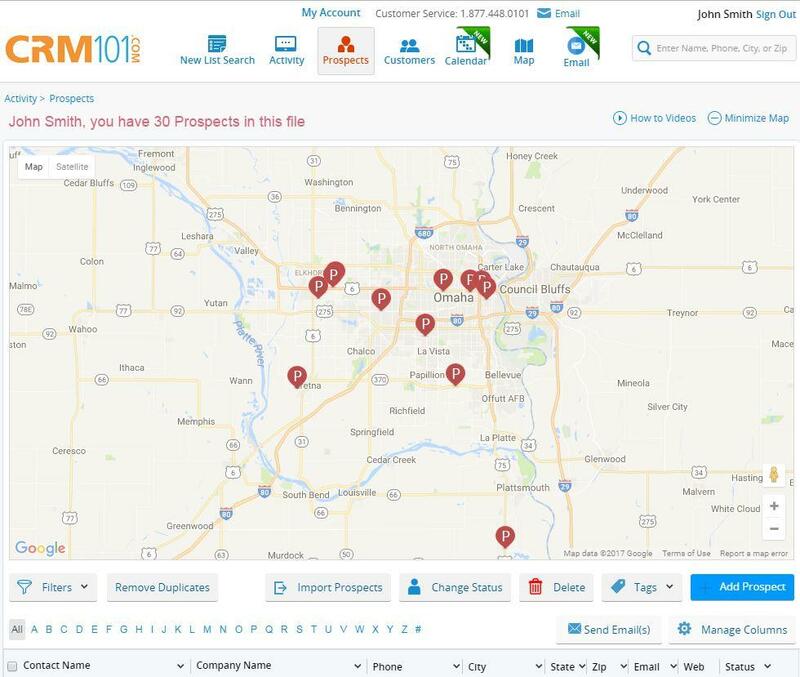 After narrowing down you search, you have the ability to view your sales leads on a map when you go to the CRM101® contact manager. 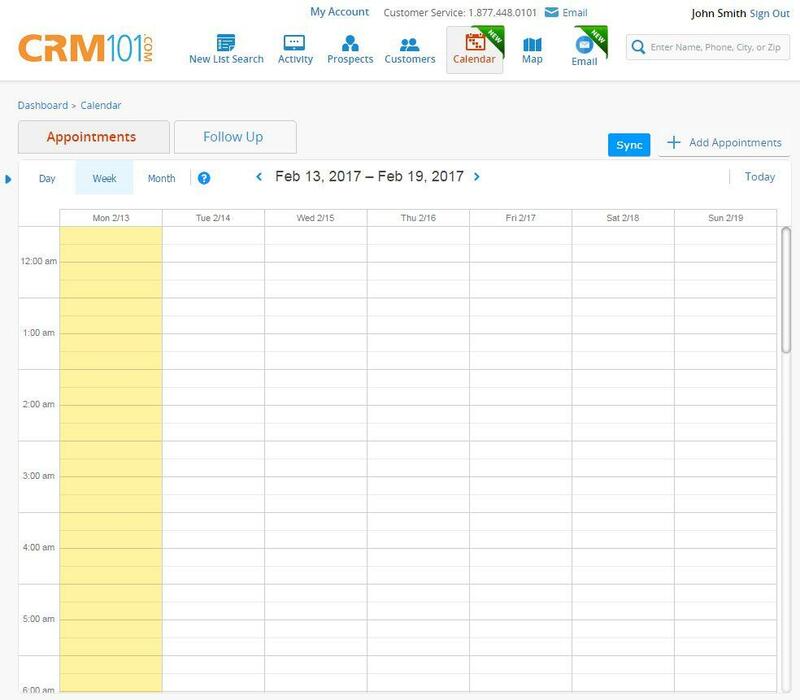 Sync your Google and Outlook accounts with the new CRM101® calendar integration. This feature allows users to set up appointments and meetings while saving time. 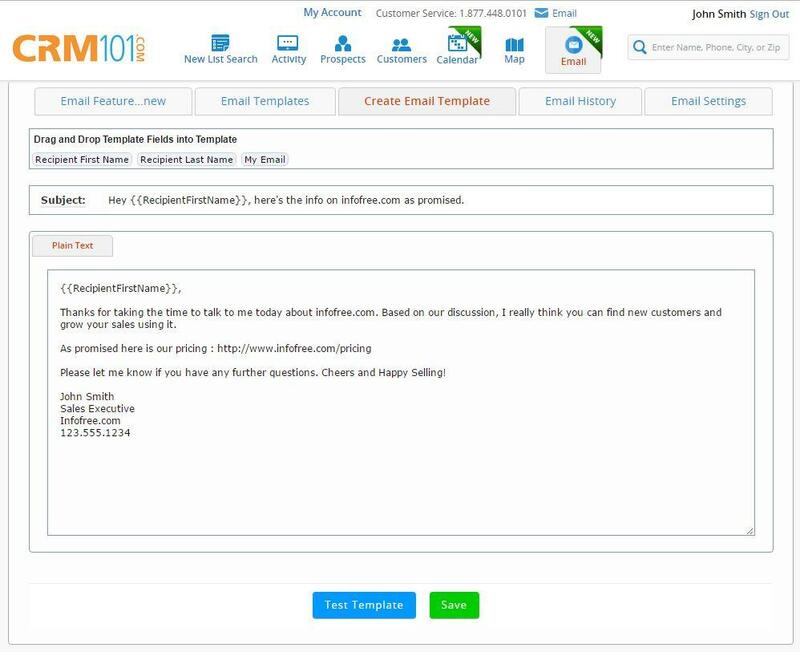 Users have the ability to pre-write and save email templates in the CRM101®. These templates can help make sending emails to multiple people much easier and more effective. Users can to send up to 250 emails a day, this updated feature allows for a much smoother and faster emailing process and gives the user the ability to reach out to more customers.